Juda Wolff was born in Meppel on 22 December 1860. She got married in Meppel on the 13th of February 1894 to Jacob Wolff (born 31 July 1862, also in Meppel). They stayed in Meppel and had five children, four of which died at birth. Meijer Jacob (born 30 November 1894) was the only surviving child. Mrs Juda Wolff-Wolff was for many years president of the joodse vereniging Nashim (Jewish association Nashim) (an association which was devoted to women in need) and was active in the campaign for women’s right to vote. She was known in Meppel under the name of ‘Tante Juut’ (‘Aunty Juut’). 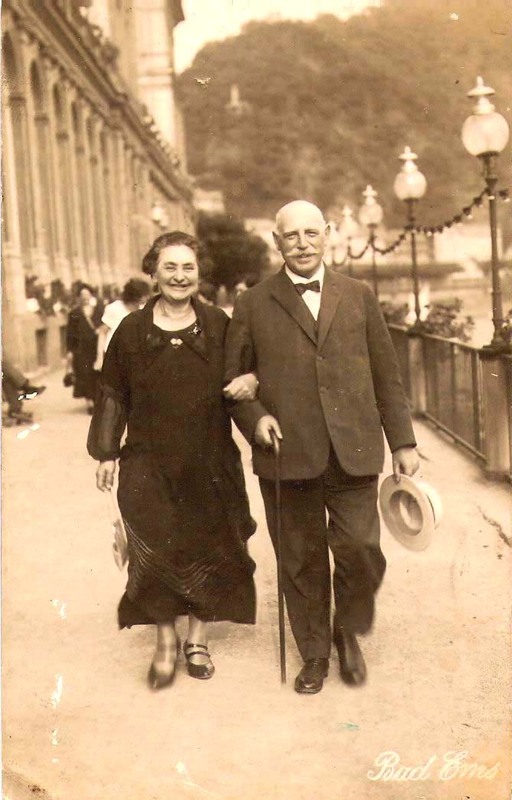 Meijer Jacob married Nanny Eva Norden, who was born in Amsterdam on the 23rd of November 1895. They had two sons: Siegfried Arnold (born 9 March 1926) and Jack Manuel (born 31 May 1923). The family lived together with Jacob Wolff’s mother Juda, at 2 Leonard Springerlaan . 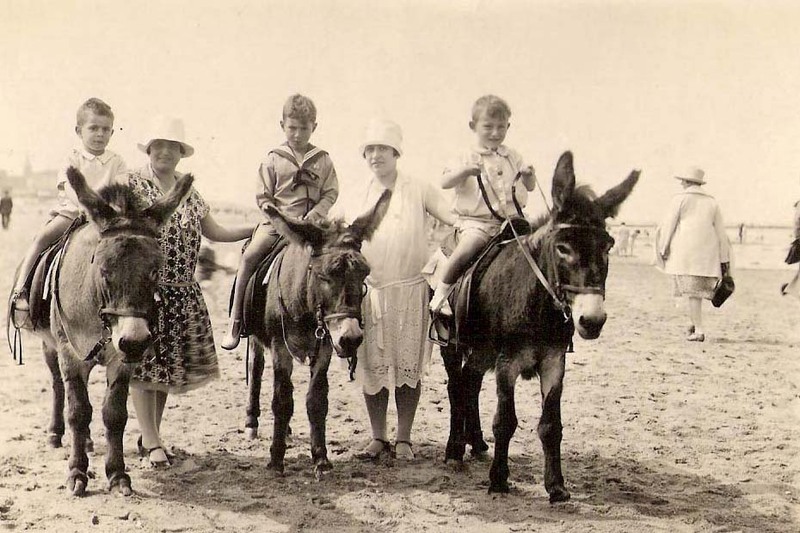 From left to right: Nanny Wolff-Norden, Jacob Wolff, Juda Wolff and Meijer Wolff. Nanny Wolff (2th from the right) between her sons Jack Manuel (left) and Siegfried Arnold (right). Meyer Wolff was a business man and also active in the church committee. Musical life in Meppel also owes him a lot; he played the cello very well. He shared his musicality with his wife Nanny, who as a pianist and writer of revues played an important part in the musical life of Meppel. She wrote the music for revues such as ‘Kille Meppel 5688’, ‘Op stap,’ and ‘Sanerox’. him during a performance of drama club Tavenu. Jacob Meijer was the owner and managing director of a chemical factory. On the 23rd of December 1905 the firm of Wed. Meijer L. Wolff was established. 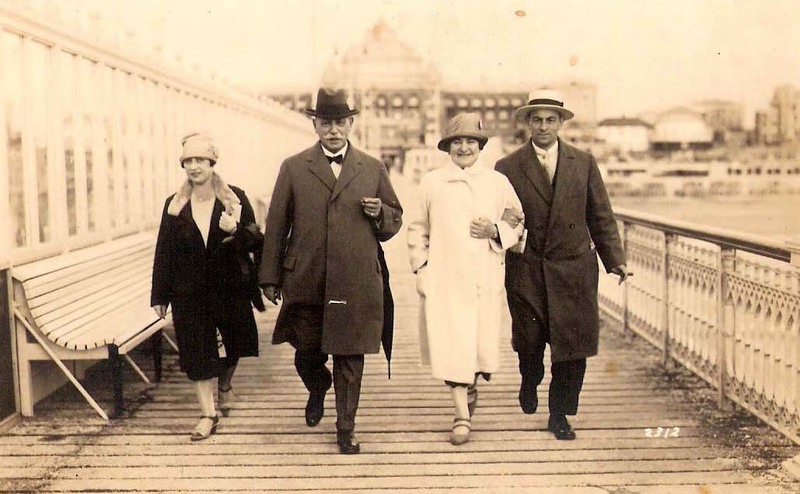 The original members of the board were his father and his aunts Hester and Grietje Wolff. The firm produced and traded in soaps, cleaners and dyes. For one of their products they had thought of a very suitable name: ‘Manjefiek’. Of course there was an advertising slogan going with it: ‘Manjefiek’ is the name, ‘Magnifiek’ (magnificent) is the shine. Under this name the article was known all over the country. Wolff’s factory had a nickname: ‘Zwarteanenfabriek’ (black hands factory). The nickname originated from the black rims under the nails of the boys and girls who filled the tubes and boxes of black stove polish and shoe polish, which was difficult to remove. The company was established in an old church on Nieuwe Kerkstraat. They had also a warehouse at 14-16 Hagendwarsstraat. The business went really well. More and more people were employed (in the thirties there were 20-25 employees). says ‘Meijer Wolff, articles for cleaning and polishing'. On the 10th of September 1935 Jacob Wolff Meijerzoon died, and the company was run by his widow Judith and Jacob’s sisters Grietje and Hester. Apparently not very successfully, because a year later Grietje and Hester left the company and Judith carried on with the business alone until the 24th of October 1936, when her son Jacob Meijer bought the company from her. During the war, the factory was one of the few Jewish companies that were still working. Meijer Jacob was removed from his position as the owner-director and J.A. Leene was appointed by the Wirtschaftsprüfstelle as Verwaltungstreuhänder (trustee). In 1943 he bought the factory for fl 16,000.-. The process was completed; a Jewish company came into the hands of a non-Jewish owner. Meanwhile Leene had even come to live in Meppel (at 15 Marten Ottenlaan). During the war Siegfried, who was the only one of the two children who were still going to school, was removed from school. In September 1939 Siegfried was recorded as a student in form 1B at the RHBS (State College). Two years later, when he was in the third form, this school was pronounced taboo for him and together with other Jewish pupils he had to go to the Jewish Lyceum in Zwolle. 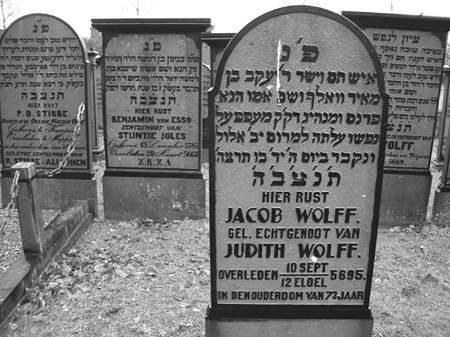 Judith Wolff was the wife of Jacob Wollf, who had already died before the war. On 20 July Meijer Wolff was transported to the labour camp in Orvelte. He probably received permission to visit Meppel once in a while. Around the 2nd of October he was transported from Orvelte to Westerbork. It was now his two sons’ turn; on the 17th of August they had to leave from the Vledder, a square in Meppel, by DABO-bus to the labour camp in Linde. Only a day later, they had to leave for Westerbork. Old aunty Juut (81) stayed behind with Nanny. The last few days before that notorious 3rd of October they had the company of Amalie, Liesbeth and Johan Gustaaf Wolff from Stationsweg. They were evicted from their house, which was confiscated by the Wehrmacht (the German forces). They had to go somewhere, so they came to their relatives on Leonard Springerlaan. On the 3rd of October Juda Wolff together with Amalie, Liesbeth and Johan Gustaaf were expelled from their house and taken to Westerbork. What happened that day to Nanny Wolff is unknown! According to some information she did not leave Meppel to go to Westerbork. Maybe on that fatal day she was with relatives in Amsterdam? Later, however, she still ended up in camp Westerbork. It is very likely that (almost?) the whole Wolff family met each other again in Westerbork, because they were not sent immediately to the East; for a while they managed to keep their names off the transport lists. In Westerbork, Meijer Wolff even rejected an offer to escape by saying ‘they won’t kill us’. Yet the unavoidable happened: Juda Wolff, who was now 82 years old, disappeared on the 16th of February 1943 to Auschwitz and died on the 19th of February. Nanny Eva Wolff-Norden was deported to Auschwitz on the 31st of August 1943 and was killed on the 3rd of September. The three men lived longer, but Meijer Jacob, Siegfried and Jack Manuel disappeared on the 31st of August from Westerbork, but died in Auschwitz on the 31st of March 1944. 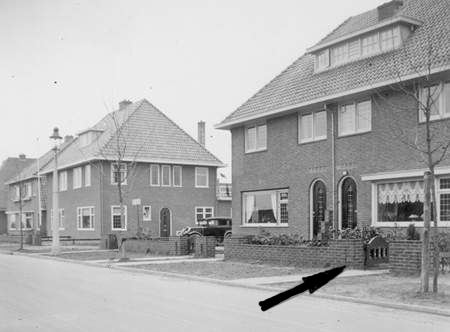 Their house on Leonard Springerlaan was a desirable place to live, so after the family Wolff had been made to leave, the house was seized by the Wehrmacht (armed forces) and was used as accommodation for Germans who worked in Meppel. The German Koehler, who had a position with the Bauleitung (Building Supervision) in Meppel, occupied the house for a long period. Residence of the Wolff Family on Leonard Springerlaan.